Call of Duty: Modern Warfare 3 does what it does best: it offers undeniable fun. It is a tightly scripted roller coaster ride that dials the blockbuster spectacle up to eleven and goes out of its way to keep it there. It's breaking sales records as we speak, it's engendering controversy with scenes partly designed to do just that, and it'll be played online long after the single player campaign has been forgotten by all those who didn't have to review it. It's 2009 all over again. So what's left to say? Fine, you try captioning this one. 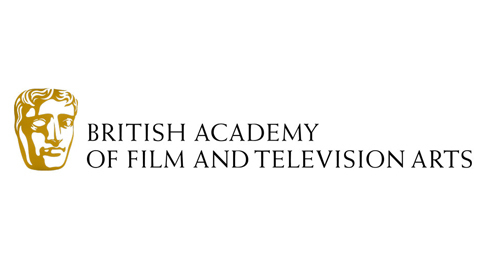 On October 26th, the British Academy of Film and Television Arts (BAFTA) invited four games writers and narrative designers for a small panel on the theory and practicality of writing for games. Since I was visiting a friend in Wales at the time, I was unable to attend myself. Fortunately, I managed to sneak a recorder on an unwitting attendee, and she captured the entire panel for me. If this unwitting attendee whose name may or may not be Nina is reading this, you have my eternal gratitude. So while this is an indirect account of the panel, I hope to offer a short but thorough recap here. Read on to find out about the improper use of cutscenes, the challenges presented by a silent protagonist, and why a games writer is like a feng shui guy. Note: I've also made another contribution to The Editing Room. My thoughts on Rise of the Planet of the Apes can be read here. Also, next week the annual Eurogamer Expo will commence, and I'm going to be there in three different capacities: a journalist, a visitor, and a volunteer. These may overlap at times. The Deus Ex: Human Revolution Short Script (and I have to use the qualifier "short" lightly here) is one of the toughest and most gratifying scripts I've written. I consider it to be a wonderful game that comes down to the best kind of fan fiction Deus Ex could ever hope to get. I'm not sure whether it would have fared as well had it been a new IP, as the countless references to its progenitor add a flavour that immensely intensifies the overall experience. As a result, I find it nearly impossible to look at Human Revolution without Deus Ex as a touchstone. This post will therefore make a lot of comparisons between all games in the Deus Ex series. And just like the Short Script, it's quite lengthy, which is why I'm going to have to subdivide it. Note: I've been quite busy in the last two months. I nonetheless managed to contribute something to The Editing Room, the site that single-handedly influenced Playthroughline's style. Read my take on The Adjustment Bureau here. Also, the next Short Script to go up will be that of Deus Ex: Human Revolution. I feel as if this entire blog has been leading up to that one. I share both Tom Francis' affinity for and frustration with Mirror's Edge. It's a beautiful but flawed game; its potential is marred by what seems like a series of last-minute cop-outs. "Wait, are consumers really going to go for a game where all you do is run and jump around? Better add some weapons to even that out!". The loose approach to the game's mechanics can also be seen when looking at its story. Mirror's Edge is a game where the disconnect between story and gameplay manifests itself visually. In my previous post, I mentioned that certain games try to instill fear in the player. This is the cornerstone of Doom 3's gameplay experience, which pulls out all the stops. By far the most common technique used is that of the monster closet. In fact, Doom 3 has so many of them, you can't help but wonder about those the player didn't trigger. Picture a demon, anxiously waiting in a cramped, 5x3 storage space. It knows it's supposed to jump out at whoever opens the panel that traps it in there. It never happens. "Is that gunfire I hear outside? ", it wonders. But then, silence. "Have they -- forgotten about me?". In this post, I used Condemned: Criminal Origins as a fitting case study for (the impact of) weapons in games. Condemned features a dedicated melee system and only occasionally offers a firearm to the player, which makes them stand out more. Monolith Productions went completely the other way with F.E.A.R., a shooter that focuses its entire gameplay experience on smooth and stylised combat. With guns. Lots of guns. Read more about Short Script: F.E.A.R. Portal 2 isn't merely a sequel, it's a viable application of what was essentially a trial run. Valve Software has stated that it never expected Portal to gain the extended following it has, which is why The Orange Box acted as a safety net. A most unnecessary safety net, since Portal managed to eclipse both Half-Life 2: Episode 2 and Team Fortress 2 in popularity. And now Portal 2 has evolved into a standalone title that does just that: standing alone. The Portal script is one of the more challenging ones I've had to write, because it's very difficult to pick apart a game that manages to excel on all fronts. And now Portal 2 is on the horizon, and it's being hailed by its writers as "one of the finest single-player games [Valve] has ever created". No pressure. Note: as before, this post was featured on GamaSutra. Also, my tendency to let incidental thoughts between parentheses meander into entire paragraphs has now been remedied through the use of footnotes. Throughout Deus Ex: Human Revolution's development, Eidos Montréal has joked that "we all played Deus Ex, and some of us were even forced to play Deus Ex: Invisible War". It is a fairly flawed game, even when considering its near-impossible task of following and rivaling an iconic predecessor. My thoughts have already been mentioned in this post, and they were only affirmed by a recent playthrough. It occurred to me that there is a very specific way in which Deus Ex: IW fails to engage the player, beyond some of the more obvious shortcomings that the Short Script picks up on. Note: this post was featured on GamaSutra, so I am reproducing it here with a few minor changes to accompany the Short Script of Kane & Lynch 2: Dog Days, the game that really made me consider stylised visuals and what they are capable of. I'm not going to lie. If its demo wasn't enough to discourage me from picking up Kane & Lynch 2: Dog Days, its critical response was. The game hasn't fared particularly well, with official reviews citing its short and lacklustre single player campaign as a primary flaw. Despite those misgivings (or perhaps, because of them), I wanted to write a Short Script for it, so I waited for its appearance in the local bargain bin. And even then I felt cheated, because it's just a really poor game. I mentioned before that I was looking forward to its "YouTube aesthetic", because it provides a unique and consistent level of stylisation. But that's unfortunately lost on a fundamentally broken game. In essence, it plays just as bad as it wants to look.